Thanks to everyone who emailed me questions and commented on my Q&A photos on facebook/instagram.The questions have been kept anonymous and the answers will be reflected my opinion of the products and to the best of my knowledge. Q: Why did you decide to go natural? Q:What hair type are you? Q: Why is my curl pattern different in the front of my head in comparison to the back near my neck? A: This could be down to a number of things, if you apply heat to your hair for example this could change the curl pattern completely or that it is the way your curl is naturally growing.My hair on the left is a mixture of 3a/3b.The 3a is due to my curls stretching as there getting longer, and the 3b are corkscrew curls.The right side is 3c curls which I sometimes have to use a separate curl product to define them. Q: How do I get my crown to curl a bit more? A: This can depend on two things.Like I answered before it could be just the way your curl naturally forms, as I have 3 different curly types.See how your curls come out with no heat at all, even if its rarely done, it depends on your heat protectant and deep conditioning your hair after having heat applied. A: You can either love or hate silicone's depending on what ones you use, how you use them and having a cleansing shampoo to remove the build up.I have gone through not having any at all and my hair was lacking defined and soft curls, then going full out silicone based products and my hair would get so much build up it would look rank. Q: Can you recommend any products for hair growth? A: My hair is iffy with coconut oil too.Garnier Ultimate Blends coconut oil is the only one that works for me which you can buy here. Jojoba oil is always a great alternative too which can be purchased here.I mostly use argan oil infused products to nourish my hair. A: I know exactly how you feel, and I'm sure others reading this question can relate to it too.We all have off days when our hair doesn't look as good like the day before and it just makes us either want to chop it,apply heat or use chemicals.I've felt this way numorous times but it does eventually get better if you have a positive outlook on it. I would sit in front of the mirror while still getting ready and think of all the positive things about my hair,and the one that stood out the most was "Unique".Each of our curls are unique and why would I want to relax/damage it just so to be like everyone else?That's taking my uniqueness away.Sure I agree, straightening your hair sometimes is nice to have, but save it for an occasion or as long as you trust yourself to not get into a routine of doing it all the time, because then your hair will end up getting damaged.Our curls can be annoying sometimes, but they make us stand out,who we are, and are unique. 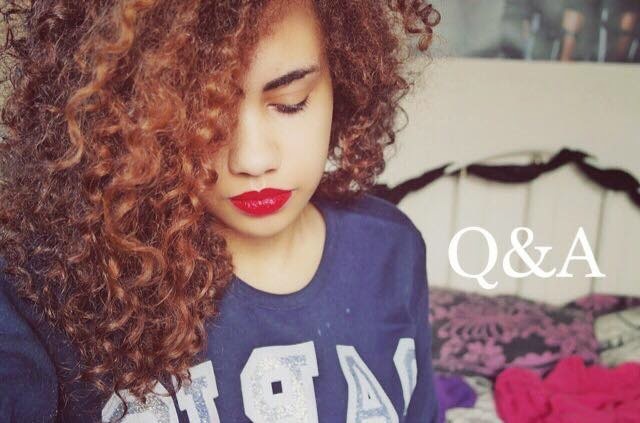 Q: How many times do you apply heat?Summer is coming and curly hair is a no no! Q: Do you trim your own hair and how many times do you get it trimmed? 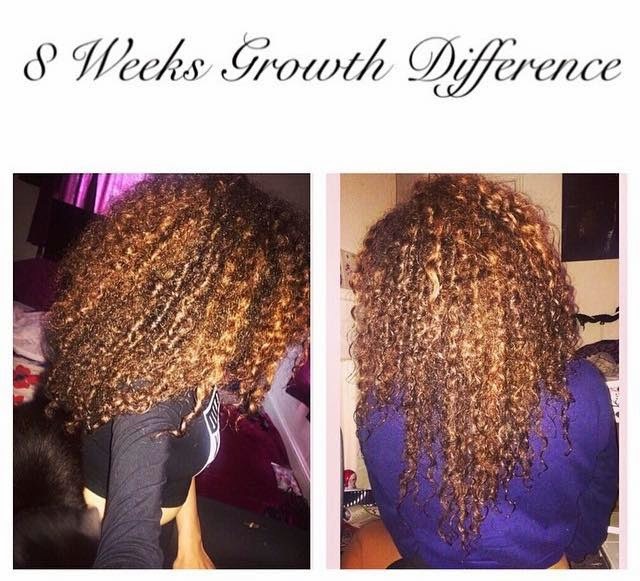 A: I trim my own hair, and I trim it every 3-4 months when I straighten my hair to do a length check.I found this is the best way to see damaged ends and to snip them off to achieve healthy looking hair.Each time the trimming reduced and I now hardly have to trim it. A: Amazon is one of the best retailers to find afro/curly hair products, just please make sure to check reviews/feedback first as a few are selling counterfeits.Curly Emporium is also a great retailer that sells products for our hair types too! Q: My ends are damaged from heat, do I have to do the big chop? A: No you don't have to, but you will need to trim them once your hair has grown out as there is no way of reversing the damaged ends.Also, if your hair starts to split up the hair shaft from the damaged ends, that is a sign that you need to cut those ends straight away or your hair is just going to grow damaged. Wearing The Wrong Bra Size All My Life? Are the DWP causing more deaths?